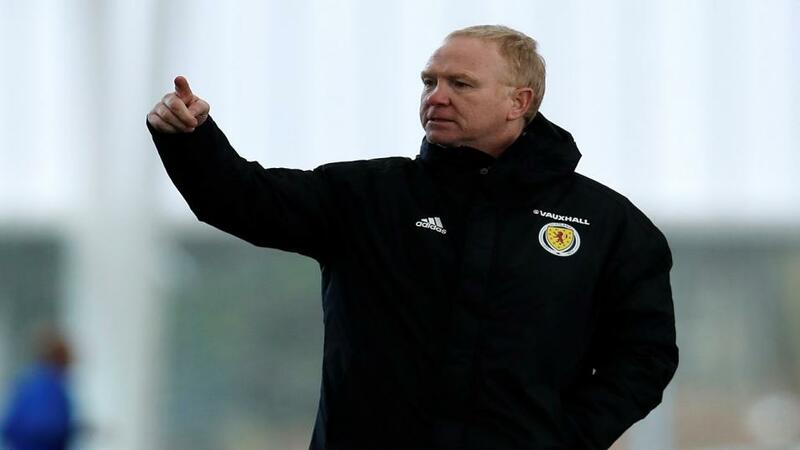 "Despite Friday’s poor performance, both traders and punters are willing to stick with the Scots and have priced a home win as odds-on favourite"
Scotland manager Alex McLeish must dust his side down and ask for a response as they prepare to host Albania in a vital UEFA Nations League match at Hampden. The dark blues suffered what was their worst home defeat in 45 years when battered 4-0 by Belgium on Friday night. Yes, Belgium are ranked amongst the best teams on the planet at the minute and, yes, they finished third at this year's World Cup, but home fans are in no mood to hear excuses. It has already been 20 long years since the nation last qualified for a major tournament and in the two decades that have passed they appear to have made little progress on the pitch. As well as that heavy defeat, the beaten side have now lost three consecutive home matches and that ranks as their joint-worst run in history. Are we watching a Scotland side much worse than we've seen before? It didn't look like it for parts of the match against Belgium and but for a lapse in concentration that led to Romelu Lukaku's opener they could've got to the break with the scores goalless. Big Eck moved to ease the pressure on his players when speaking to the press at full-time, demanding fans blame him and not his men. The experienced gaffer said he should take the flak for advising Scotland to pass the ball but suggested he would stick to his footballing philosophy, refusing to stick with old habits and lump it up the pitch. Things are far from rosy in the garden of the away camp either. Scottish football fans expected their first look at Rangers playmaker Eros Grezda - a £2m summer buy from Osijek - but the wonderkid's wait for competitive football rumbles on after being sent home by manager Christian Panucci. Grezda was pencilled in to line-up against Israel on Friday night before flying with the team to Glasgow to take on Scotland in game two, but his trip was cut short after Panucci voiced concerns over the player's fitness to play a part in either match. Bad news for both club and country but it didn't hamper The Eagles who edged Israel 1-0 to get off to a winning start, putting all the pressure on their opponents who are already playing catch-up. A timely confidence boost for Albania but that narrow win over a lowly ranked opponent was their first victory in four, following defeats to Norway, Kosovo and Ukraine. Despite Friday's poor performance, both traders and punters are willing to stick with the Scots and have priced a home win as odds-on favourite. Backers playing the Betfair Exchange will find [1.82] available about the locals. An always loyal Tartan Army will turn out in support to roar their boys on, but many shrewd backers may prefer to look elsewhere for a better price with confidence low amongst the natives. Fancy Albania to add another win and charge towards progression? The visitor's price is an eye-catching one with a bulky [4.6] on the Exchange and that's sure to attract bits and pieces of attention. For those who can't split them, perhaps thinking one as bad as the other, [3.4] is the quote for a draw. Looking beyond the match winner market and there's plenty to get involved in at Betfair. With two suspect defences on show a bet on both teams to score makes sense at even money against the 8/11 for no on the coupon. The draw at half-time is also available at evens or those with a bit more confidence in the favourites can back them -1 goal on the handicap at 5/2 (Betfair Sportsbook). Celtic man Leigh Griffiths will be asked to lead the line and everyone breathed a sigh of relief when he passed himself fit at the weekend, despite being carted off at half-time vs Belgium. Over 2.5 goals is much preferred at 6/5 to the 8/13 about under. Albania are no Belgium but there are gaps in this Scotland defence and a bit of creativity going forward. McLeish will be hoping his frontmen can be more clinical in the final third than they were last time.